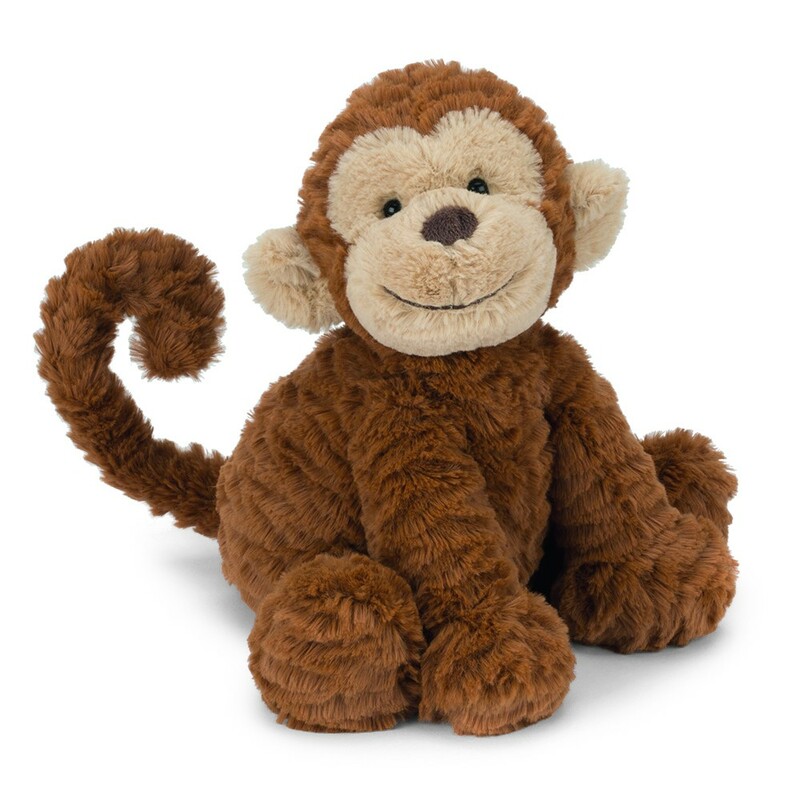 Tiny Tarzans, meet your new best friend: Fuddlewuddle Monkey is covered in rippled, ruffly-soft fur and ready to get into all kinds of trouble! But if you snuggle his soft ginger tummy, he’ll soon forget all his pranks and tricks. 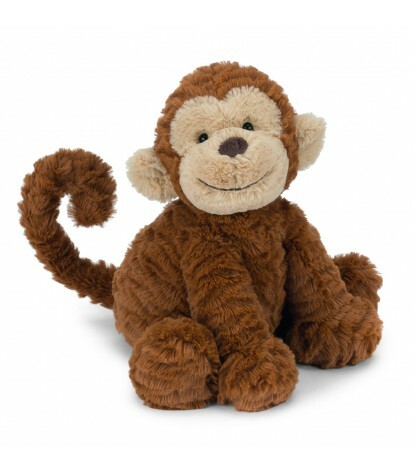 A big monkey smile and a fudge-colored face make this cheeky chimp unforgettably cute and a perfect cuddle-companion to boot!